There's a wedding dress for every body. I wish I had known that when I got married ten years ago. I get that so much more now that I'm out there all year long photographing other wedding dresses. And I love the variety of styles we see every year - from simple beauty to intricate detail. Shoes too - gone are the days of the classic white wedding heels. In it's place wedding shoes are a way to express your individuality. Whether colorful, flats, beaded, laced or even a silver converse sneaker. 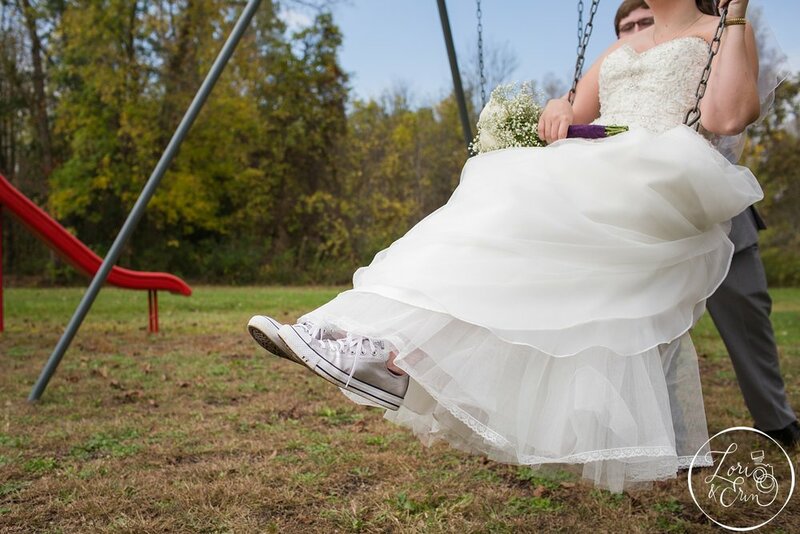 I love how our brides let their feet represent. Taking photographs of your dress at the beginning of the day is a natural scene setter in your wedding album. It sets the tone and begins the story of the day. Our goal as always, is to infuse your you and your setting into these detail images wherever possible. Because a wedding dress on the hanger is lovely, but on you it becomes real. Your dress comes to life the minute you put it on, because you shine it it. 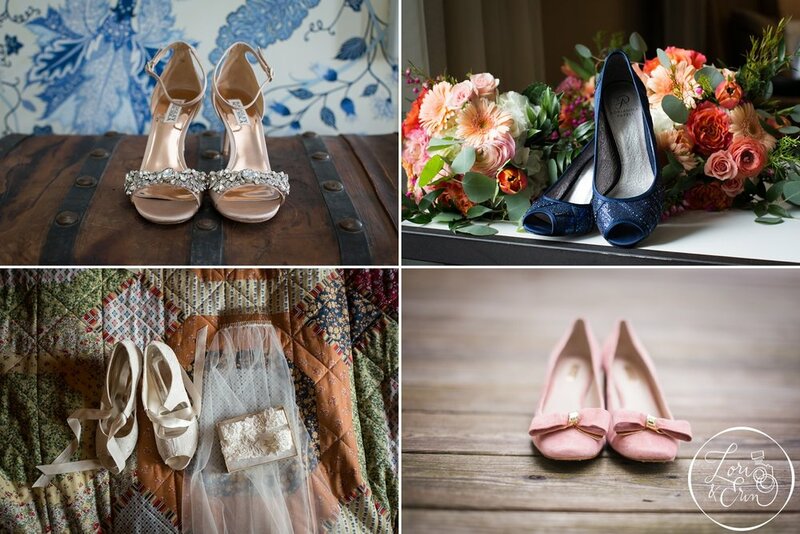 Enjoy some dress and shoe love, we hope it gives you some wedding inspiration.